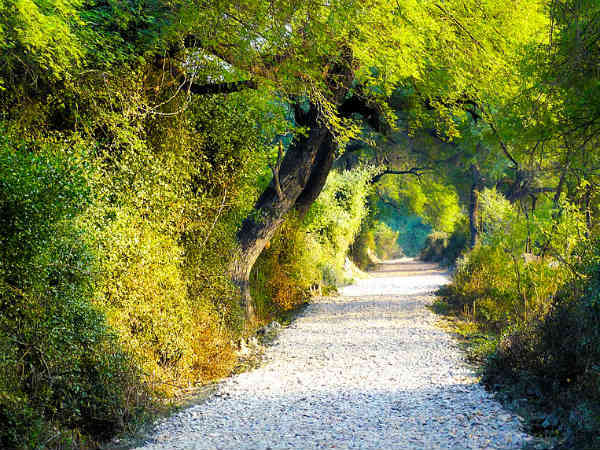 If you are looking to escape the busy streets of Jaipur and desire to take a break at a place that flourishes amidst the pristine expanse of nature, then there cannot be a better place than Bharatpur. Located in the vicinity of Jaipur, it is a perfect weekend getaway to spend a calm and relaxing vacation. Also known as Lohagarh on account of the presence of Lohagarh Fort, this beautiful yet unexplored city dates back to the 2nd century when it was inhabited by the Indo-Scythian tribe. Therefore, Bharatpur is home to several historical sites and ancient monuments today. However, it is popular amongst tourists for its natural beauty which is spread across its beautiful streams, rich forests and diverse wildlife. So, what do you think about a trip from Jaipur to Bharatpur this weekend? If you would love a visit, then read on to know more about how to reach Bharatpur and its commendable tourist spots. Bharatpur experiences an extreme type of climate and, hence, the summers are hot here. However, due to the presence of diverse wildlife and rich forest in its surroundings, the weather is bearable during the summer season. The best time to visit Bharatpur is from October until the end of March. By Air: The nearest airport to Bharatpur is located in Agra at a distance of about 70 km. From the airport, you can easily get a direct bus or a cab to Bharatpur. It will take an approximate time of 2 h to reach your destination from Agra airport. By Rail: Bharatpur has its own railway station and hence, you can catch a direct train from Jaipur Junction to Bharatpur railway station. It takes an average time of 2 h 30 min to reach Bharatpur by rail. By Road: Bharatpur possesses a well-maintained road system and hence, you can easily access this eastern gateway of Rajasthan by road. On your way, you can take a break at Dausa and explore its beautiful temples and other historic sites. Dausa is a historic city in the state of Rajasthan and is located at a distance of about 60 km from Jaipur and 126 km from Bharatpur. The major reason why you must stop here for a break is its historical as well as religious significance. As the history of the city dates back to the 10th century, you can find several ancient monuments within its boundaries. It also houses numerous beautiful temples which are believed to have been in existence for thousands of years. Wouldn't you love to explore this hidden gem of Rajasthan? The major places to visit here include Abhaneri, Bhandarej, Khawaraoji and Shri Paplaj Mata Mandir. Bharatpur is one of the most beautiful cities in the eastern parts of Rajasthan and due to its location in the close proximity of Delhi, Agra and Jaipur, it lies on the belt of Golden Tourism Triangle. It is located at a distance of about 190 km from Jaipur and is visited by thousands of tourists annually, especially wildlife photographers and nature lovers. However, it also attracts numerous history lovers too. Following are the major places which you shouldn't miss visiting on your trip to Bharatpur. The invaluable splendour and the major identity of Bharatpur, Keoladeo National Park is a UNESCO World Heritage Site and hence, it is the most visited tourist spot. Established in 1982 and spread over an area of more than 7000 acres, this vast expanse of nature is popular for its huge population of migratory as well as indigenous birds. Therefore, over a period of time, it has become a paradise for bird-watchers and photographers. Covered with lush vegetation and blessed with beautiful streams, this wonderful national park should be on the bucket list of every traveller. Do you love exploring history? If yes, then Lohagarh Fort is your destination here. It was built by the Jat rulers several centuries ago to protect their kingdom from foreign invaders. It was one of the strongest forts ever built in India and one can easily figure out its greatness once they witness its tough walls with large bastions surrounded by a vast moat. Did you know even after repeated attacks for several weeks, the British army couldn't conquer this impregnable fort in the early 19th century? Isn't is a fascinating fact? The major sites to explore within the fort include Kishori Mahal, Moti Mahal, Jawahar Burj and Fateh Burj. How is it possible for a historic city in India to not house temples and religious sites? The major temples in Bharatpur include Laxman Ji Mandir, Ganga Mandir, Banke Bihari Temple and Dev Narayan Temple. There is also a mosque named Jama Masjid located within its boundaries. Apart from the above-given enthralling beauties, you can also visit Government Museum, Golbagh Palace, Nehru Park and Vishwapriya Shastri Park.